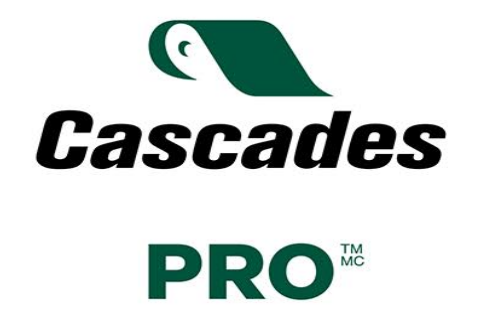 THE CASCADES PRO™ DIVISION IS PART OF CASCADES TISSUE GROUP, A LEADER IN THE UNITED STATES AND CANADA. We go all out, all the time, to make sure the public spaces we're part of are places everyone can feel good about, where people can perform at their very best. Sold through distributors, we provide waste-reduction and cost-effective solutions for dining areas, kitchens and restrooms. Most brands are available in a wide variety of sizes and quantities and come in an extensive product assortment including hand towels, bath tissue, dispensers, napkins, kitchen roll towels, facial tissue, and wipes. Cascades PRO towel and tissue products are mainly made from 100 percent recycled fiber, with a majority of products being certified by recognized 3rd party organizations in North America such as Green Seal, UL/Ecologo, and Green-e. Provide dispensers, towel, tissue, and napkin products that don't leave a mess and reduce waste. Provide a wide array of affordable, high quality products that your customers will appreciate. Reduce waste, increase productivity, lower costs, enhance safety and hygiene and lessen your impact on the environment.